I have some recommendations on general tips on improving health and nutrition. I also have a long list of things you should AVOID for optimal health, but before I mention everything you CAN’T have, let me start by recommending things to add to your diet. I can’t stress enough the importance of a good quality multivitamin. Unfortunately, our soils are depleted of nutrients and minerals, which means our food can’t obtain all the nutrients and minerals it is supposed to get from the soil. I definitely think that eating healthy is important, and you should try to get most of your vitamins and minerals from your diet, but unfortunately I just don’t think it’s possible and some supplementation is necessary. What makes a multivitamin of good quality is when it comes from organic whole food sources and does not contain inactive ingredients that are not good for you. There are lots of great liquid choices out there which are more bioavailable then their pill counterparts. Next, I recommend a probiotic for everyone. This will ensure that you are adequately absorbing the vitamins you are taking. Probiotics will add healthy bacteria back to your gut. You also want to avoid certain things that damage healthy gut bacteria such as: sugar, refined grains, processed foods, antibiotics (including those given to animals you eat), and pesticides (which is why organic eating is important). When choosing a probiotic, you want to go with at least 50 billion live cultures, 90 billion is even better. You want to pick a good quality one – probably one that needs to be refrigerated to keep the bacteria alive. Some are enteric coated so that they are not killed by your stomach acid. Vitamin C is another important vitamin everyone needs in their life. Vitamin C promotes wound healing and protects cells from damage. It helps form collagen which maintains bones, cartilage, muscle, and blood vessels. Vitamin C is so crucial because it combats oxidative stress and can lower risk of cancer. It can also be used intravenously to treat cancer (this is common in Europe but for whatever reason [not a money-maker for drug companies?] looked down upon in the States). 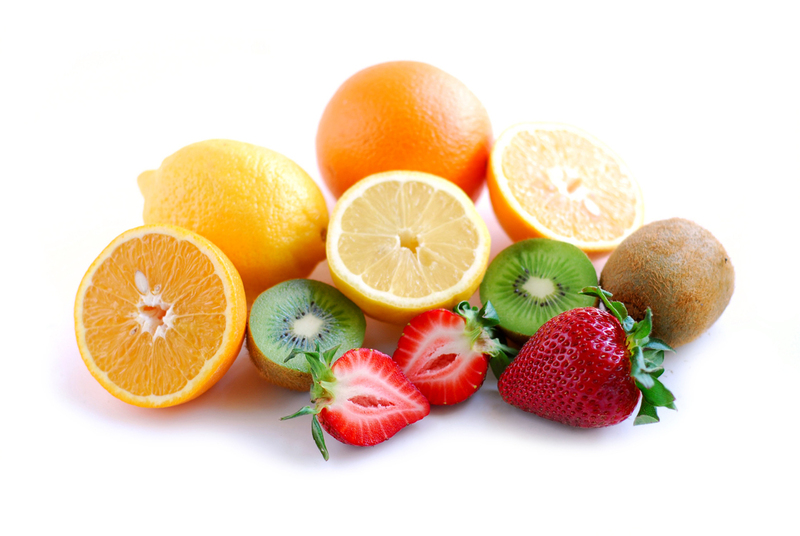 Even though vitamin C is acidic, it produces an alkaline environment once processed by the body. An alkaline environment is important because your cells thrive in this environment while diseases can thrive in an acidic environment. Good sources of vitamin C include dark leafy greens such as kale, guava, bell peppers, oranges, broccoli, strawberries, thyme, and parsley. Vitamin D deficiency is a huge problem in northern Europe and much of the US. Deficiency leads to multiple health problems including MS, osteoporosis and depression to name only a few. Vitamin D may protect against prostate, colon, colorectal, and breast cancers. It is hard to get adequate vitamin D from food sources, so it would be a good idea to supplement with at least 1000 units per day, especially if you don’t live in a sunny place. I have seen recommendations as high as 8000 units per day. Patients who are deficient are usually prescribed 50,000 units weekly. The problem is, the prescription vitamin D (Drisdol) is D2 (ergocalciferol) and the form that is most beneficial is vitamin D3 or cholecalciferol. Vitamin D3 is the same form of vitamin D formed in your body when it is exposed to sunlight. Some sources name 70ng/ml as an optimal level in your blood. If you are incorporating vitamin D supplements into your lifestyle, it is a good idea to monitor vitamin D blood levels and adjust supplementation accordingly. Exposing yourself to sunlight without sunscreen in moderation is a good idea to enable your body to produce adequate vitamin D, however you should be cautious if you have a history of skin cancer in your family – also, wear protective sunglasses. The appropriate amount of sunlight for adequate vitamin D absorption differs per person. The last supplement I will highlight is selenium – an antioxidant mineral. It is required by the body to ensure proper functioning of the thyroid gland and also protects against free radical damage and certain cancers. Doses of 200mcg daily have been shown to prevent breast cancer. Selenium is an important mineral for your brain. Selenium helps your body make glutathione which supports detoxification. Selenium also helps your body make essential fatty acids which have a huge impact on mood and brain disorders. Getting enough selenium will help ensure a happy brain and body! A great source of selenium is the brazil nut. Other options include sunflower seeds, oysters and other shellfish, liver, bran, certain fish, lobster, crab, and shrimp. I decided to limit myself to just five tips for now. With my next post, I will continue with the theme of fatigue and highlight nutritional choices that can help boost energy – something we can all probably use at this time of year! A recap of TinasPharm recommendations: along with eating plenty of organic fruits and vegetables, incorporate a high quality multivitamin and probiotic into your diet plan. Consider supplementing with vitamin C (at least 500mg daily), vitamin D3 (at least 1000 units daily), and selenium (200mcg daily). This entry was posted in Health and tagged multivitamin, probiotic, selenium vitamin c, vitamin d by Tina's Pharm. Bookmark the permalink. Great info! Question about the probiotic…are yogurt drinks like keifer sufficient? I definitely recommend kefir but don’t think you can get all the probiotics you need from it (unless you make it yourself using raw milk which is hard to come by). A serving of conventional store-bought kefir has somewhere around 10 billion live cultures. It is hard to say how many cultures are actually still alive in any product – supplement, or yogurt or kefir – depends on how they are stored along the way during the whole process of getting into your fridge. Kefir contains more potent bacteria and yeast than yogurt and will actually colonize the digestive tract so the good bacteria stay in your gut longer. It’s a good idea to include kefir in your diet, but you may still want to supplement with other probiotics.